Book Review: 'Dept. 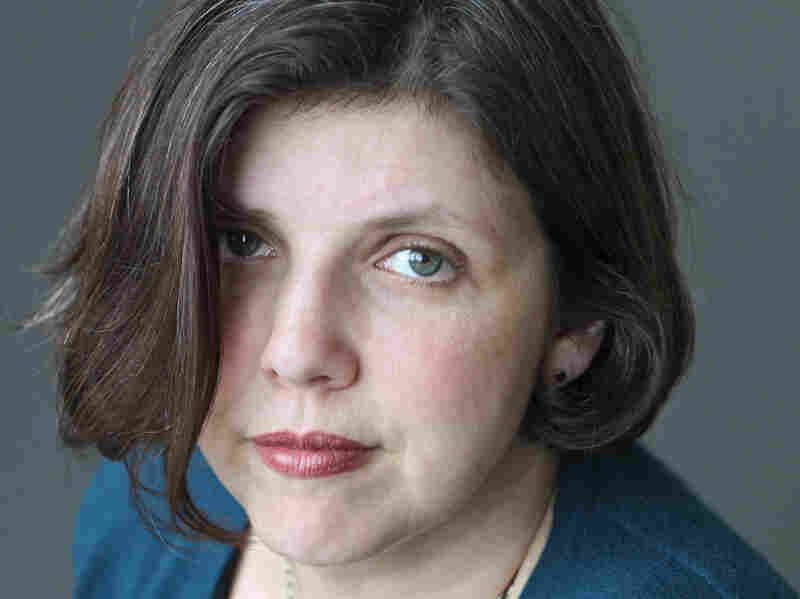 of Speculation,' by Jenny Offill Jenny Offill's sparse and experimental novel Dept. of Speculation is a reminder that bigger isn't always better. Through short vignettes, Offill builds a narrative about an unnamed husband and wife. It's a sly, profound glimpse into a fragile domestic sphere — and, while the form may be unusual, the book is highly readable. Jenny Offill's novel Dept. of Speculation, which weighs in at 192 pages soaking wet and includes a fair amount of white space, is extremely short for a novel. It's an unusual book not only in terms of its size, but also its form. Make no mistake, this is an experimental novel. By which I mean that the narrative isn't a series of flowing scenes that keep you reassuringly grounded in plot, but a collection of vignettes, observations and quirky details that are sometimes pulled from real life. Not to mention the fact that the characters, a young couple, are referred to only as "the husband" and "the wife." No names are ever used. If all that scares you off, I should tell you: be brave. The book is absorbing and highly readable. It's also intriguing, beautifully written, sly and often profound. I loved getting a glimpse of the way a couple navigates the world and their own little terrain. The wife remarks, "The reason to have a home is to keep certain people in and everyone else out. A home has a perimeter. But sometimes our perimeter was breached by neighbors, by Girl Scouts, by Jehovah's Witnesses. I never liked to hear the doorbell ring. None of the people I liked ever turned up that way." And then, two pages later, extending the theme of home and its meanings, but quietly moving into painful territory, Offill writes, " ... when we signed the lease, we were happy about the jungle gym because I'd learned that I was pregnant and we could imagine its uses. But by the time we moved in, we had found out that the baby's heart had stopped and now it just made us sad to look out the window at it." It's kind of amazing the way a nameless character, living a life that is missing a lot of specifics, could evoke a kind of sorrowful feeling in me. The details, even though spare, drew me in, and I began to form pictures and full scenes in my mind in response to them. Maybe our minds crave story so badly that we'll just go ahead and create it out of whatever raw materials are put in front of us. Dept. 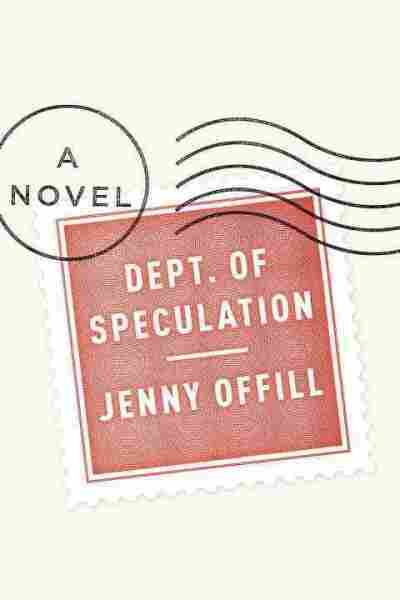 of Speculation is Jenny Offill's second novel. One of the dangers of writing a book in this style is that the different little stand-alone sections are inevitably pitted against one another. Some work better than others. A sudden quote from Simone Weil, "Attention without object is a supreme form of prayer," seemed a little bewildering. And a questionnaire about sparrows, a page after the revelation that the couple had lost their baby, made me want to say: let's get back to our characters now. But there were other times when I was more willing to be taken far afield, such as in a little story about the scientist Carl Sagan's infidelity. Because, in fact, infidelity comes into play in Dept. of Speculation. The husband strays, and the ensuing drama has a held-breath suspense to it. And the novel is often really funny. Offill refers to the Internet meme of the cat saying, "I CAN HAS CHEEZBURGER?" And the payoff comes later, after men are flirting with the wife, who muses to herself, "I CAN HAS BOYFRIEND?" Offill has successfully met the challenge she seems to have given herself: write only what needs to be written, and nothing more. No excess, no flab. And do it in a series of bulletins, fortune-cookie commentary, mordant observations, lyrical phrasing. And through these often disparate and disconnected means, tell the story of the fragile nature of anyone's domestic life.